Leftovers are good for you! 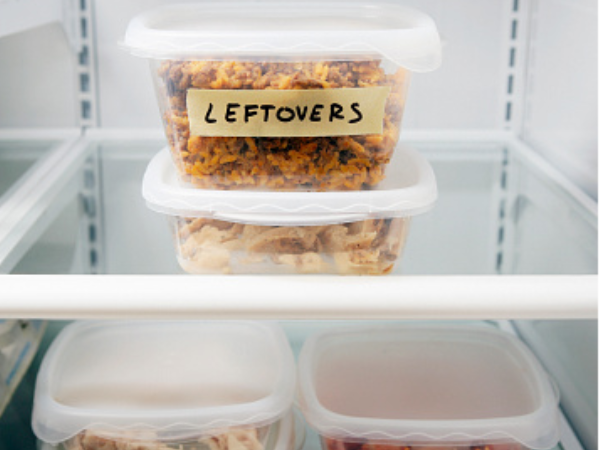 According to scientists, leftovers can have a surprising array of health benefits. Food shopping can be so expensive, especially if you're trying to eat healthily and have to regularly stock up on fruit and vegetables. But one way to make your money go further is to keep hold of any leftovers from meals and reuse them the next day in a different dish. Not only that, but leftovers can have a surprising array of health benefits according to scientists. So don't go chucking yesterday's supper in the bin just yet, it could lead to some interesting outcomes, according to the MailOnline. Many people avoid large intakes of rice because of its calorie content. But by adding a few drops of coconut oil into the pan of boiling water and then chilling it in the fridge overnight, rice can contain up to 60 per cent fewer calories, potentially dropping from 130 calories per 100g to just 52. It's all down to the way starch in the rice changes when it is heated, then cooled. Bone broth is the 'in thing' these days when it comes to nutrition. As well as being low calorie and tasty, it's believed to include ingredients that will make your skin glow. Bones from meat such as beef, lamb or chicken should be cooked with water and a little cider vinegar to help the process. Collagen from the bones turns into gelatin, which is easy to digest and excellent for the skin. Minerals and nutrients such as calcium, magnesium and cartilage also become easy to digest. The broth is thought to have benefits for bones, teeth and joints and help hair and fingernails to grow. Once potatoes have cooled after cooking, it is believed that their starch levels increase. Research has discovered this starch has the same benefits as dietary fibre, which protects against colon cancer, increases the feeling of fullness and might even reduce fat storage. "When potatoes are cooled after heating, the starch molecules expand and crystallise," said food scientist Dr Sam Christie. "Once swallowed, this resistant starch is treated like fibre by the digestive system." However it's important to remember that when reheating any leftovers, they should be cooked through thoroughly to avoid food poisoning. Ensuring it's over 60 degrees will mean any bacteria that have developed during the cooling process are killed. It's also key that you don't put large amounts of hot food straight into the fridge, as the temperature of it will go up. Ensure your fridge is under five degrees Celsius. Some organisms will actively grow at low temperatures, but salmonella and E.coli won’t grow below eight degrees.